Xigduo XR, a once-daily drug for type-2 diabetes, has been linked to several life-threatening side effects involving too much acid in the bloodstream, including diabetic acidosis and lactic acidosis. The FDA has also updated the label to include kidney failure as a complication of severe urinary tract infections. 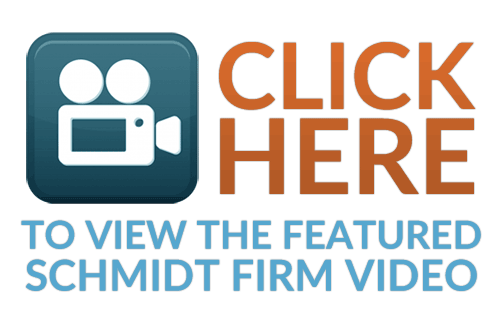 The Schmidt Firm, PLLC is currently accepting Xigduo XR induced injury cases in all 50 states. If you or somebody you know was diagnosed with a severe side effect, you should contact our lawyers immediately for a free case consultation. Please use the form below to contact our Defective Drug Litigation Group or call us toll-free 24 hours a day at (866) 920-0753. In August 2018, the FDA issued a Safety Communication after 1 person died and 11 others were hospitalized with a severe genital infection called necrotizing fasciitis of the perineum (Fournier’s gangrene) after taking diabetes drugs in the SGLT2 inhibitor class. Dapagliflozin: Created by AstraZeneca and sold alone as Farxiga, it belongs to the sodium glucose co-transporter 2 (SGLT2) inhibitor class and works by helping the kidneys excrete glucose (sugar) in urine. Metformin HCl extended-release: Since the 1950s, it has been a first-line treatment for people with diabetes. It works by decreasing the amount of insulin the body needs to maintain normal blood-sugar levels. The Prescribing Information for Xigduo XR includes a “Black Box” warning about lactic acidosis, a severe side effect of metformin that occurs when too much lactic acid accumulates in the blood. The FDA has also warned about the risk of diabetic ketoacidosis from Xigduo XR. 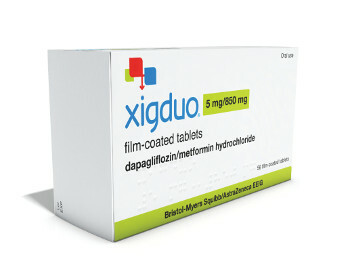 Xigduo can potentially lead to kidney failure in several ways. The FDA has received reports of kidney failure in patients who developed severe urinary infections that spread to the kidneys. Bacterial infections that spread to the bloodsream (urosepsis) can also causes a sudden drop in blood pressure and acute kidney failure. Chronic (long-term) kidney failure can also occur after infections permanently scar the kidneys. Another problem with Xigduo is that it significantly increases a patient’s risk of dehydration. Patients on Xigduo urinate much more frequently, which can decrease the amount of water and blood in the body. This makes it much harder for the kidneys to do their job. In June 2016, the FDA strengthened warnings about acute kidney injury from Xidguo XR. The agency received 101 confirmed cases of acute kidney injury from March 2013, when Invokana was approved, until October 2015. Risk-factors for acute kidney injury include dehydration, decreased blood volume, chronic kidney insufficiency, congestive heart failure. Medications like diuretics, blood pressure drugs (ARBs and ACE inhibitors), and NSAID painkillers like ibuprofen also increase the risk of kidney injury. Type-2 diabetes is also a risk-factor for nephropathy, which is a kidney disease that occurs when excess sugar in the bloodstream damages the delicate filtering structures inside the kidneys after many years. Because Xigduo relies on the kidneys to work, some experts warn that it may further increase these risks. It is a good idea to check kidney function before starting treatment with Xigduo and periodically afterward. People with pre-existing kidney disease should not take Xigduo. The U.S. Food and Drug Administration (FDA) received 20 reports of diabetic ketoacidosis in patients taking SGLT2 inhibitors between March 2013 and June 2014. Every year, many people with type-2 diabetes die from diabetic ketoacidosis. This medical condition occurs when the body starts burning fat as an energy source because it does not have enough insulin to use sugar (glucose) in the bloodstream. When fat cells are broken down, they release ketones — toxic acidic waste products — that accumulate until they cause complications. 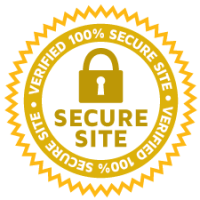 Our attorneys are nationally recognized class action lawyers in Texas, but we are not filing a Xigduo class action at this time. Instead, we are filing individual lawsuits and only accepting cases involving very serious side effects. Do I have a Xigduo XR Lawsuit? The Schmidt Firm, PLLC is currently accepting Xigduo XR induced injury cases in all 50 states. If you or somebody you know was diagnosed with diabetic ketoacidosis or kidney failure, you should contact our lawyers immediately for a free case consultation. Please use the form below to contact our Defective Drug Litigation Group or call us toll-free 24 hours a day at (866) 920-0753.